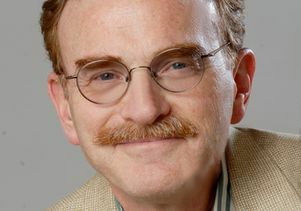 UCLA alumnus Randy Schekman, a professor of molecular and cell biology at UC Berkeley, has won the 2013 Nobel Prize in physiology or medicine for his role in figuring out how proteins are secreted and transported in human cells. He shares the prize with James E. Rothman of Yale University and Thomas C. Südhof of Stanford University for solving the mystery of how the cell organizes its transport system. Schekman became the seventh UCLA alumnus to win the Nobel Prize and the first to receive the prize in physiology or medicine. "UCLA students, alumni and faculty are leaders in their fields, and their contributions have bettered society in innumerable ways," said UCLA Chancellor Gene Block. "Our legacy of Nobel laureates reflects our university's role at the forefront of discovery, and we congratulate Professor Schekman and his fellow Nobel Prize winners on this extraordinary honor." The 50-member Nobel Assembly lauded Rothman, Schekman and Südhof for making known "the exquisitely precise control system for the transport and delivery of cellular cargo. Disturbances in this system have deleterious effects and contribute to conditions such as neurological diseases, diabetes, and immunological disorders." Schekman's path to cutting-edge scientific discoveries was set early on at UCLA, where he initially chose pre-med as his major. "Then I realized there was a whole other world at the university that I hadn't really known about," he recalled in Proceedings of the National Academy of Sciences, where he became editor in 2006. After doing well in a freshman course in his first semester, Schekman found a place in an honors class taught by Willard Libby, the inventor of carbon-14 dating and a Nobel Prize winner himself. Students in the course were required to work in a chemistry lab. So Schekman was placed in the lab of molecular biologist Michael Conrad. "The first thing he had me do was read the then-first edition of a book by James Watson called 'Molecular Biology of the Gene,' which really opened my eyes," Schekman recalled. "I remember reading it in my leisure time like it was the Bible." That experience, and his real-world work in the lab, ended his aspirations to be a physician. From then on, he was hooked on basic science. When Watson's autobiography, "The Double Helix," was serialized in the Atlantic Monthly in 1967, Schekman would run to the library to get copies of the magazine. "Not that I ever expected to make discoveries like that or to act like that — but that one could actually plumb the depths of nature with intellect and intuition and work was a revelation," he later told a UC Berkeley writer. As a sophomore at UCLA, Schekman joined the lab of Dan Ray to work on the replication of DNA viruses. Ray, now an emeritus professor of microbiology, immunology and molecular genetics, recognized Schekman a "a most incredible undergraduate" who knew more about molecular biology than entering graduate students. "He had incredible insight for an undergrad," said Ray, who continues to do research at UCLA. "He was very clever in designing experiments, and he worked extremely hard in the lab. I once asked him how he knew so much about molecular biology. He said he got it all by reading a textbook written by Gunther Stent. He totally devoured it. He was so enthusiastic about research. And it really was infectious." Schekman's passion for scientific research was further fueled as a junior, when he spent a year working in a laboratory at the University of Edinburgh. By the time Schekman left Ray's lab, Ray recalled in a written history of UCLA's Molecular Biology Institute, the young scientist had already amassed an impressive list of accomplishments. "He had two Journal of Molecular Biology papers and a Nature paper," Ray said. "Also, between his junior and senior years, he spent a summer at Harvard ... and got a publication from that work as well. Wow, I have spent the past 40 years hoping to find another undergraduate like that. Randy was truly exceptional!" Ray said he was not at all surprised to learn that his former student had won the Nobel Prize, given his passion for research. "He told me that as a high school student, he had set up a lab in his garage, but his mother got upset when she found bottles of blood in the refrigerator," the UCLA professor remembered. After graduating from UCLA in 1971 with a bachelor's degree from the College of Letters and Science, with an independent field of concentration in molecular biology, Schekman decided he wanted to do graduate work in the lab of Stanford biochemist Arthur Kornberg, who had won a Nobel Prize in 1959 for identifying a key enzyme in DNA synthesis. Knowing that Kornberg had done pioneering work in DNA replication, Schekman decided to visit the famous scientist in his office and tell him about his research at UCLA. "Randy was a football fan and was going up to Palo Alto to see a UCLA–Stanford football game," Ray said. Schekman took the opportunity to stop by campus for a visit and introduce himself. "What incredible confidence! No big surprise that Kornberg later accepted Randy as a graduate student." At Stanford, Schekman met postdoc William Wickner, who went on to teach biological chemistry and molecular biology at UCLA for 17 years. Wickner recalled one of Schekman's first questions to him: "Do you know any girls?" He introduced Schekman to an ex-girlfriend, Nancy, who eventually became Schekman's wife. "At Stanford, we were working on DNA replication with Arthur Kornberg," said Wickner, currently a distinguished professor of biochemistry at Dartmouth Medical School. "We had many bull sessions after we finished working in the lab, around midnight, at the House of Pies. We'd talk about what we were going to do in our labs when we grew up." With a doctorate in biochemistry from Stanford, Schekman joined the UC Berkeley faculty in 1976, where he decided to study yeast to determine how vesicles containing proteins move inside and outside the cell. "Like many pioneers in the field, he was brave enough to take on a project in a new area of study as a young assistant professor," said Gregory Payne, a UCLA professor of biological chemistry who trained in Schekman's laboratory as a postdoctoral scholar. "He faced grant-application rejections and persevered. He was a great mentor. His lab was growing, but he still was able to mentor each of us and give us his attention." Sabeeha Merchant, a distinguished professor of chemistry and biochemistry at UCLA , spent three months working with the Schekman group in 1999 at UC Berkeley. "I saw firsthand Randy’s sharp intellect from his questions and comments at group meetings and seminars," she said. "I admired the relaxed way he supervised and mentored his group of students and postdoctoral researchers. He gave them incredible independence, but yet was available on a daily basis." For his contributions to science, Schekman, a Howard Hughes Medical Institute investigator and a faculty member at the Li Ka Shing Center for Biomedical and Health Sciences, was elected to the National Academy of Sciences in 1992, received the Gairdner International Award in 1996 and the Lasker Award for basic and clinical research in 2002. He was elected president of the American Society for Cell Biology in 1999. On Oct. 3 this year, Schekman received the Otto Warburg Medal from the German Society for Biochemistry and Molecular Biology, considered Germany's highest honor for research in the fields of biochemistry and molecular biology. Schekman is currently editor-in-chief of the new open-access journal eLife. "He has shown that he has a great sense of responsibility to the field," Payne said of Schekman's service to journals and professional societies. "He's a terrific citizen of the field of science in general and cell biology in particular." Watch a video interview with Schekman on the occasion of his receiving the Lasker Award in 2002, in which he discusses his education at UCLA (at 5:20 and again at 31:00). Six other UCLA alumni have won the Nobel Prize: Richard Heck (chemistry, 2010), Elinor Ostrom (economics, 2009), William Sharpe (economics, 1990), Bruce Merrifield (chemistry, 1984), Glenn Seaborg (chemistry, 1951) and Ralph Bunche (Nobel Peace Prize, 1950). UCLA's six faculty winners are Lloyd Shapley (economics, 2012), Louis Ignarro (physiology or medicine, 1998), Paul Boyer (chemistry, 1997), Donald Cram (chemistry, 1987), Julian Schwinger (physics, 1965) and Willard Libby (chemistry, 1960).